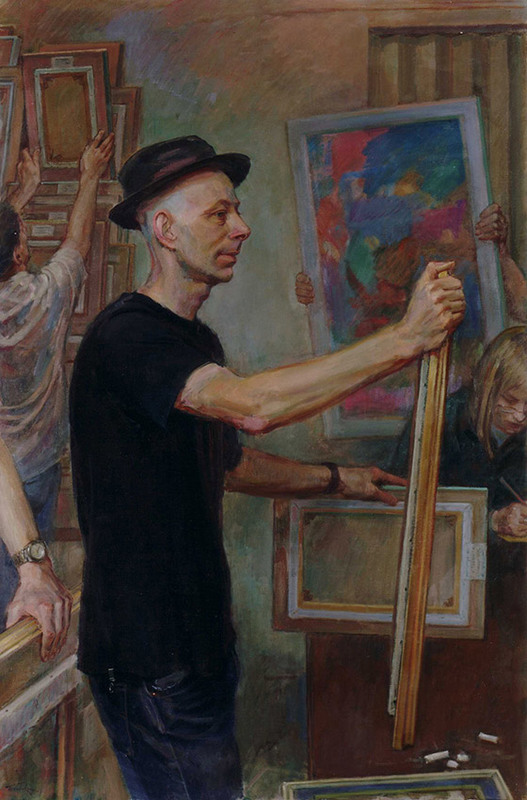 The People’s Portrait Collection was mounted in 2000 as a millenial exhibition. 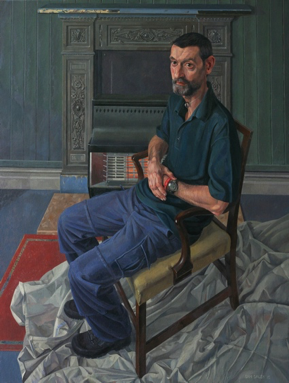 The idea was to represent ordinary people from all walks of life, and thereby offer a picture of the United Kingdom as it moved from the 20th century into the 21st. 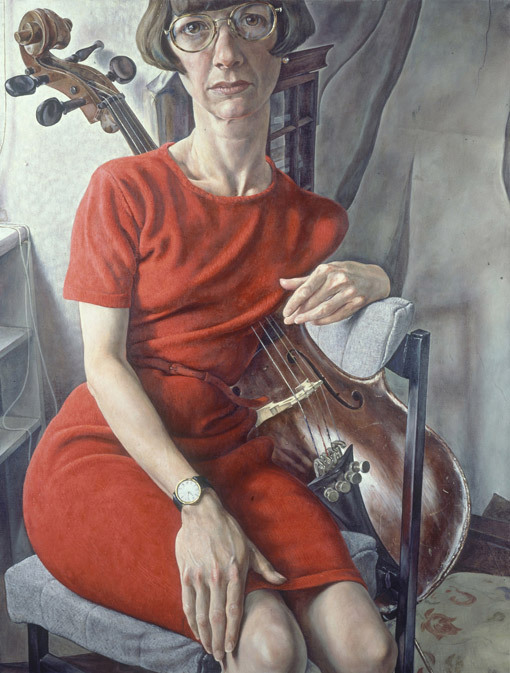 The resulting collection, owned by the Society, is rich in the diversity of its subjects. 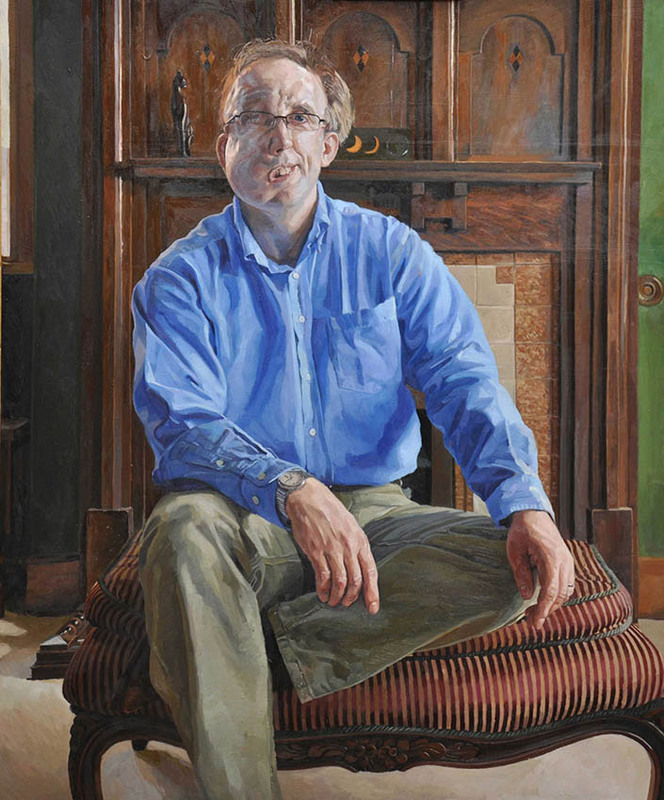 Each year a portrait is donated to the collection, usually by a newly elected member. 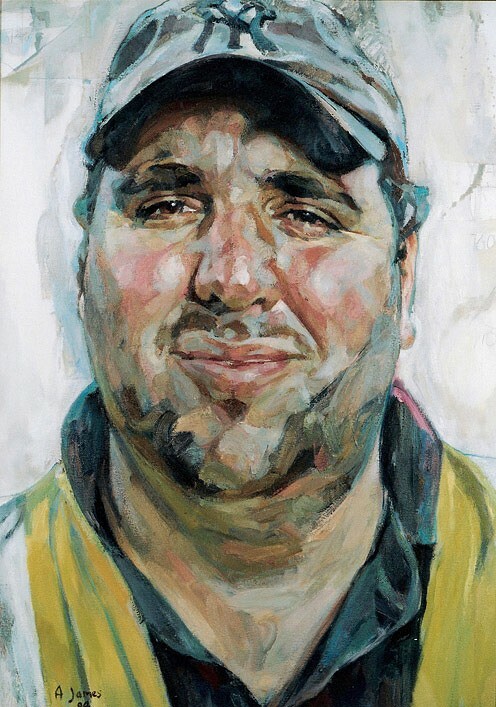 In some instances, members generously paint a portrait specifically for the People’s Portraits. 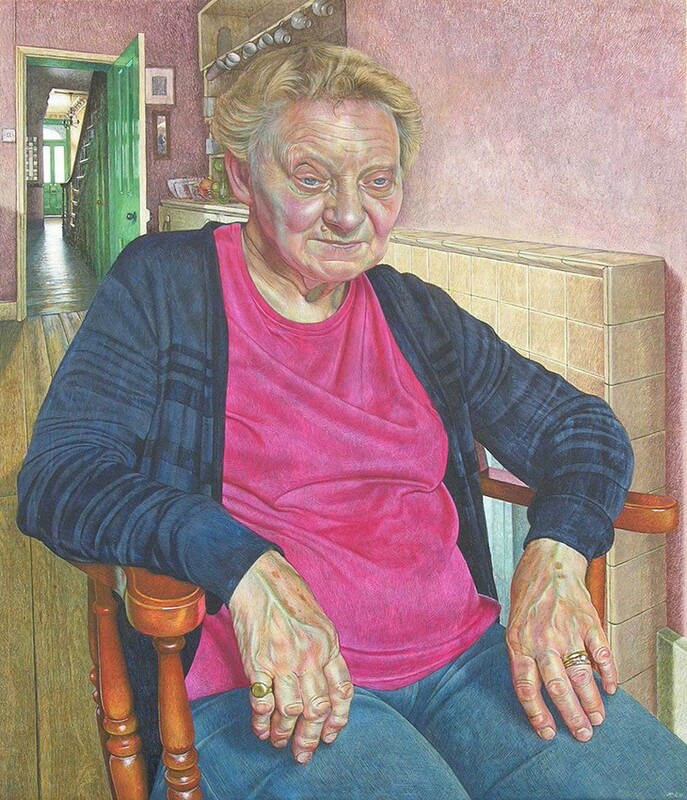 Released from the ‘brief’ of a commission, the artists often choose sitters that they have long wanted to paint. This adds to the unique quality of the collection. 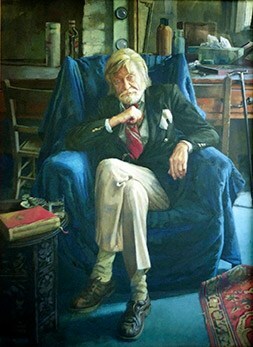 People’s Portraits received its 50th portrait from long-serving member John Walton (see above). As each year progresses the collection becomes increasingly popular, with each September unveiling accompanied by a talk from an eminent speaker. Past speakers have included historian David Starkey and art critic Martin Gayford. 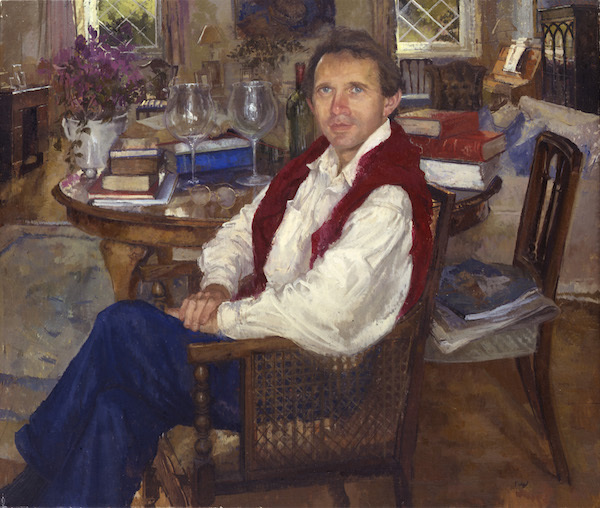 Michael Taylor 'Sarah Muffett, ordinand' (2003). 41 x 31 ins. Oil on Canvas. 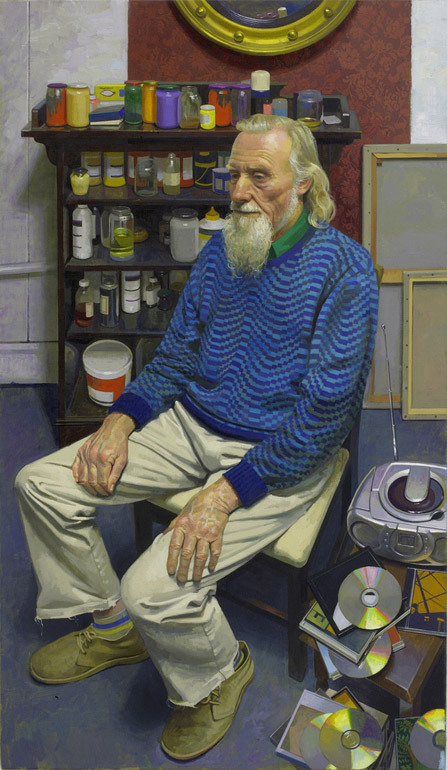 Benjamin Sullivan 'John McWilliam' (2006). 47 x 27 ins. Oil on Canvas. 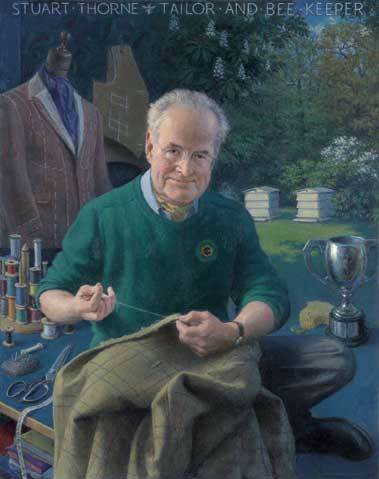 Andrew James 'Richard Griffiths, park keeper' (2004). 31 x 22 ins. Oil on Canvas. 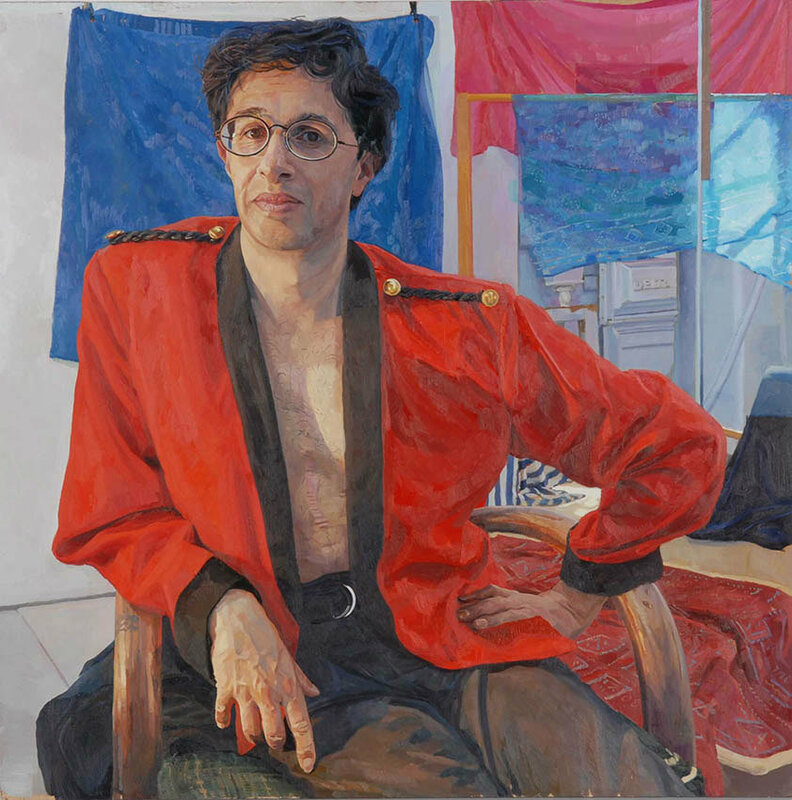 Alastair Adams 'Girish Sethna, note-taker' (2008). 33 x 33 ins. Oil on Canvas. Anastasia Pollard 'Nick'. 8 x 6.5 ins. Oil on Canvas. 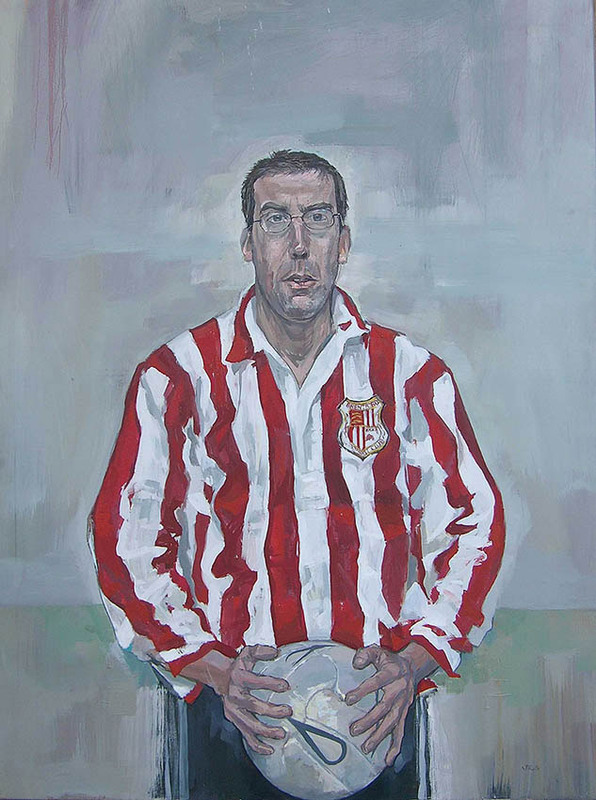 June Mendoza 'Patrick Macallister, Artist on Selection Day' (2007). 54 x 38 ins. Oil on Canvas. Sheldon Hutchinson 'Dede Cossta, Brazilian Dancer' (2003). 24 x 18 ins. Oil on Canvas. 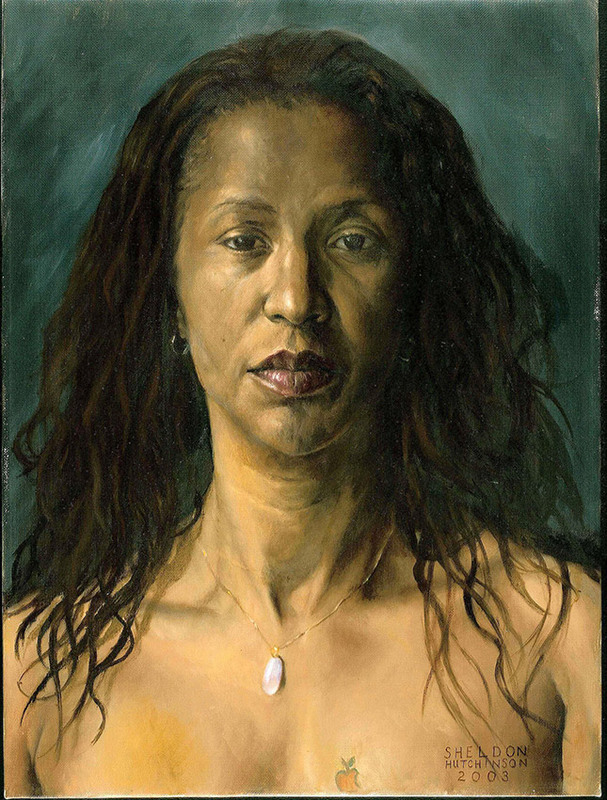 2010 Ondaatje Prize Winner: Robin Lee-Hall 'Joy'. 28 x 24 ins. 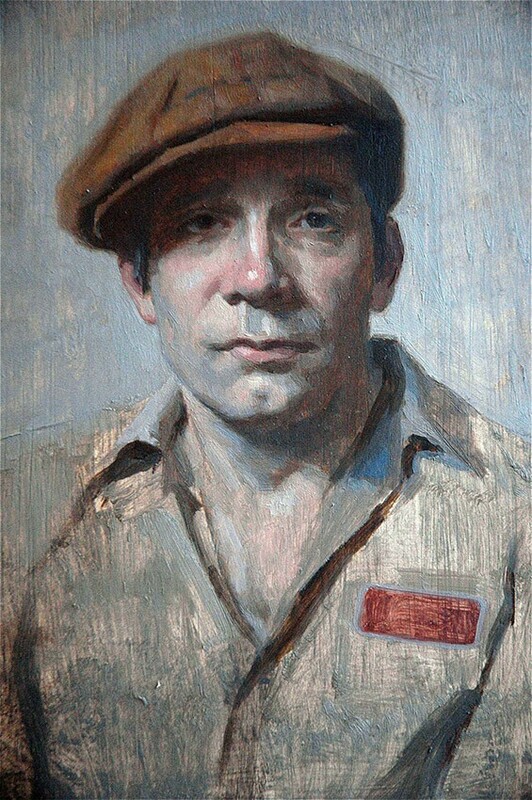 Egg Tempera on Gesso Panel. 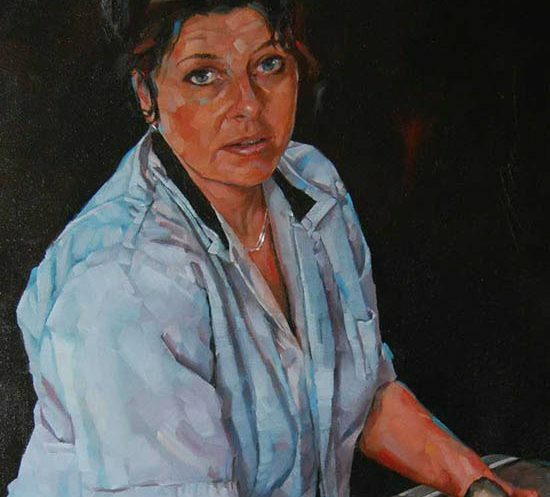 Simon Davis 'Fishsale: Portrait of Elaine Lorys' (detail) (2010). 18 x 12 ins. Oil on Board. 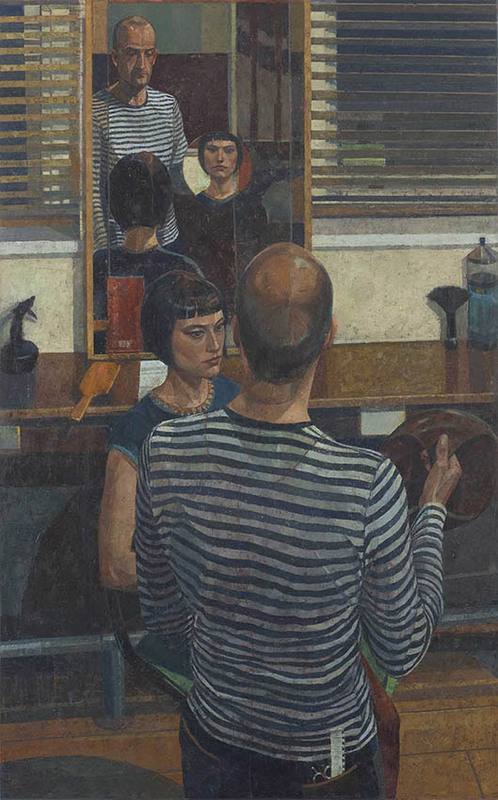 Saied Dai 'The Hairdresser' (2008). 47 x 29 ins. Oil on Canvas.